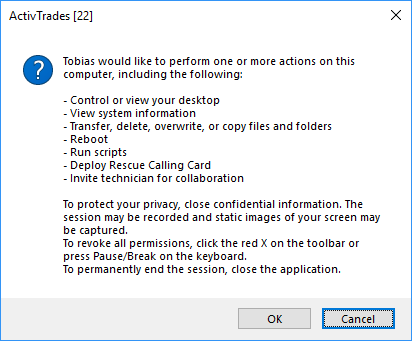 How do I start a Remote Support session with ActivTrades LogMeIn Rescue? Contact our support team and let us know what we can assist you with. An operator will invite you to Rescue to solve a problem directly on your PC. 5. Accept the disclaimer and click OK.
6. 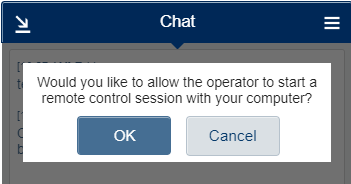 Once done, wait for the operator to activate the session. Before the session can start you need to accept the disclaimer.